Henderson wire harnesses There are	3 products. Henderson Motorcycle parts for early models up to 1931. 1926, 1927, 1928 Henderson Harness with kidney shape dash. 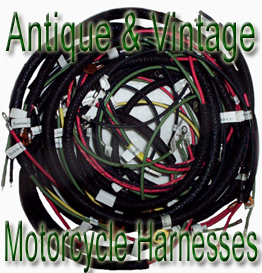 This sale is for one Henderson Deluxe wiring harness complete fits:1918 to 1928. This wiring harness is complete.Made with period reproduction cotton braided wire..